new comments and replays. comments: I've played this set in original graphics. 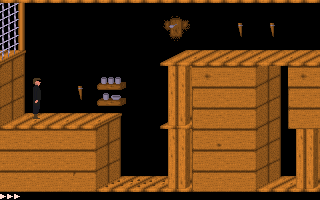 Also another levelset that inspired me to create levels. 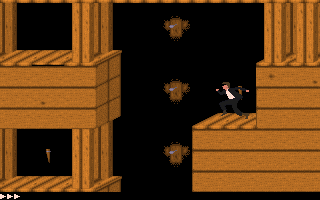 Here there are some problems in Level 7: first of all I think it starts in a wrong room: he should fall from above from level 6, and it's not so, then is not possible to get access to the superior part of the level. With tricks I learn how to do: using the Knight version of character so that he can pass through the closed gate to go upstairs; but also doing this remains the BIG problem of the button that should open the exit door that doesn't work: the door remains closed and you can't go to the next level! I forgot to write about that, I had the same trouble, so I edited those parts by myself. How did you edit this? If I try to edit it by putting its files in the apoplexy folder, then apoplexy shows me the original levels instead of these levels! 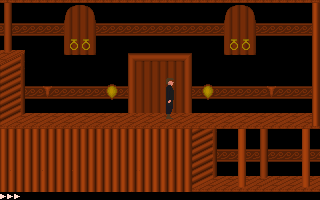 Prince of Persia 1 for DOS files need to be in apoplexy's prince/ subdirectory. Note that this mod was created with RoomShaker, which means some tiles may show up as question marks. Editing and saving and such should still work properly though. I liked this mod! Nice levels, wonderful graphics! I just give 4 stars for the enjoyment because of that bug which made me get lost in level 7 trying to pass it, and which made me use apoplexy to fix it. Actually 3 levels are identical to PoP1, then perhaps you should change that number and put 10 instead? I've changed it to 10.